Metal Details: Charles Krypell sterling silver design. Chain Measurements: 21 inches in length. 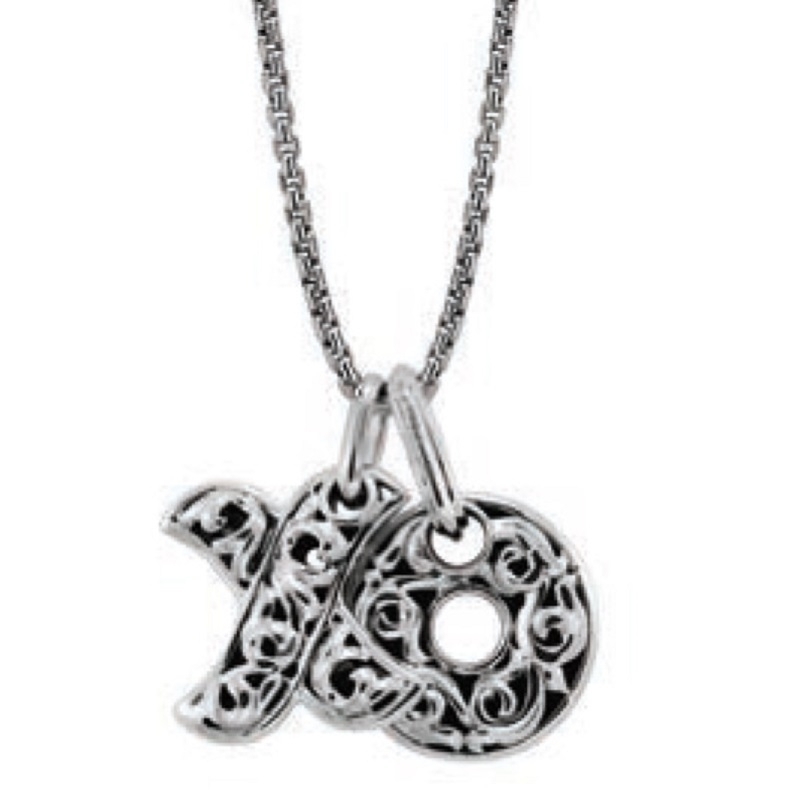 Pendant Details:Pendant measures 14mm in length with "Hugs & Kisses" engraved on the back. This is a gorgeous Charles Krypell small sterling silver necklace with "Hugs & Kisses" engraved on the back measuring 14mm. This necklace is approximately 21 inches in length. Pendant measures 14mm in length with "Hugs & Kisses" engraved on the back. We are an authorized Charles Krypell dealer. Please call for pricing 1-800-790-6980 or 1-212-302-2863. This item is a special order. Please allow about 1-2 days for delivery. Special orders are non-returnable.